When it comes to local radio programs, nobody has you dialed in quite like KRFC 88.9 FM Radio Fort Collins. We’re proud to broadcast not only diverse music, but also local news and local public affairs programming. Our shows are programmed and hosted by volunteers who donate more than 40,000 hours of their personal time to bring you the phenomenal programming that you love and have grown accustomed to hearing on our airwaves. What truly sets KRFC 88.9 FM Radio Fort Collins apart is that we play more live and local music than any other station in the region. We’re also community-owned, therefore we have the power to play what we want, when we want. All of our local radio programs are non-commercial, and we focus not only on great music that spans decades, but also on events, culture, arts, music, family, education, community changes, and lifestyle. The caliber of programming that we’re pumping through the airwaves is positive, cool, happy, inclusive, and will get your toe tapping in no time. The best part? If you have an idea for a local radio program, we would love to hear it! All of our shows are volunteer-powered, and we have an open-door policy. This means that you could be headlining your very own show on KRFC 88.9 FM Radio Fort Collins before you know it. Here is our current lineup of programs. You can also visit our weekly program schedule so that you can become more familiar with your local radio programs and tune in! The Ajax Diner Book Club is designed for the intellectual record collector. Spanning genres like soul, alt-country, indie rock, blues, and more, the artists featured on ADBC are not constrained by race, decade, nationality, or style. A great song is a great song. Each week the show assembles multiple musical narratives that embody and personify a blue-collar artistic vision. Brother JB’s Wild Ride careens through a century of music, seeking only that which is cool. From Count Basie to Slayer, you never know what will come next, but you can be certain it will be great. For eclectic connoisseurs of compelling music, The Wild Ride is your ticket to nirvana! Celtic Journeys invites you on a journey to hear the great music of the Celtic Lands, including Scotland, Ireland, England, Wales, Galicia, and Brittany, as well as the U.S. and Canada. Classics with an Attitude has been on the air since KRFC 88.9 FM started in 2003 and is one of the few shows that has aired for all 15 years. Each show has a different theme, featuring an instrument, region, composer, group, or type of classical music. The Colorado Playlist – Expressly and Explicitly Colorado from the 60s to Today – the biggest hits from the biggest hit makers and award winners to some of the freshest new music emerging from around the state today. Produced and distributed by Rocky Mountain Music Network LLC, the Colorado Playlist is heard on over 30 FM stations around the state. Folk Era Light showcases some of the great music from the Folk Scare Years, largely the mid-50s through the mid-60s. Groups like the Kingston Trio, New Christy Minstrels, Chad Mitchell Trio, Limeliters, Peter Paul & Mary, and individuals like Judy Collins, Tom Paxton, Joan Baez, and Glenn Yarbrough are regularly featured. This is a wonderful two-hour music mix covering all genres. Sprinkled with classics and many of your favorites, we work to spotlight the music of many talented Colorado musicians and national treasures. The Golden Age of Rock & Roll traces the early stages of R&R with the coming together of Doo Wop, R&B, rockabilly, and country music, all at the same time. You will hear the hits, those that should have been hits, and wonderful obscure songs. This is a free-form show in which our DJs get to play what they want. While the format is flexible, this show has its roots in what the kids call rock ‘n’ roll! Jambalaya showcases the multi-faceted, widely loved jam-band scene, featuring classic rock, modern psychedelia, and anything that’ll make you sway! KRFC 88.9 FM’s flagship program features local and national artists of all genres performing live and unedited. Part concert, part interview, [email protected] is always a good time. Note: You never know who’s going to show up on [email protected]! This show is open to the public in the KRFC 88.9 FM Radio Fort Collins studios. This one-hour program generally features Colorado musicians, intertwining interviews and music. When there isn’t a “live guest” in the studio, then recorded Colorado music is featured. Occasionally a national act coming through town will be featured. Mary Madness blends a newer mix of alternative music (darkwave, psych rock, dream pop, goth, etc.) – all the good stuff. Listeners can expect musical curveballs like the occasional theme show and a set of 80s at 8pm. A great soundtrack for your Friday nights! The Underground. The Mainstream. The 80s. All the metals. In all seriousness, this is a metal show which features a wide variety of metal subgenres sprinkled in with a healthy dose of word puns and [I hope] humor. Melodic death metal. Gothic metal. Industrial. Hair metal. Groove metal. Death metal. Melodic death metal. Gothic metal. Symphonic metal. Power metal. Pirate metal. William Shatner (occasionally). And did we mention melodic death metal and gothic metal? Mountain Standard Time presents a wide variety of jazz, as well as acoustic, melodically strong and harmonically rich music, as well as Afro-Cuban rhythms. Unlike many others jazz programs, MST includes a fair amount of vocal material, and most of its playlist is comprised of music released in the past three months. We offer an array of NoCo Flow programming throughout the week, offered up to you by a number of DJs committed to curating shows catered to the NoCo scene. Music, interviews, and more! Overnight Jazz covers the gamut of jazz recordings, from Dixieland to traditional; from bebop to hard bop; from third stream to crossover; the free, avant, and outre. This broadcast also provides news and updates about what’s happening in the Colorado jazz community, as well as the national scene. The River of Soul is a unique program of musical discovery where listeners are introduced to an eclectic blend of soulful sounds, from legendary artists of the golden age of soul to the exciting up-and-coming artists of today. 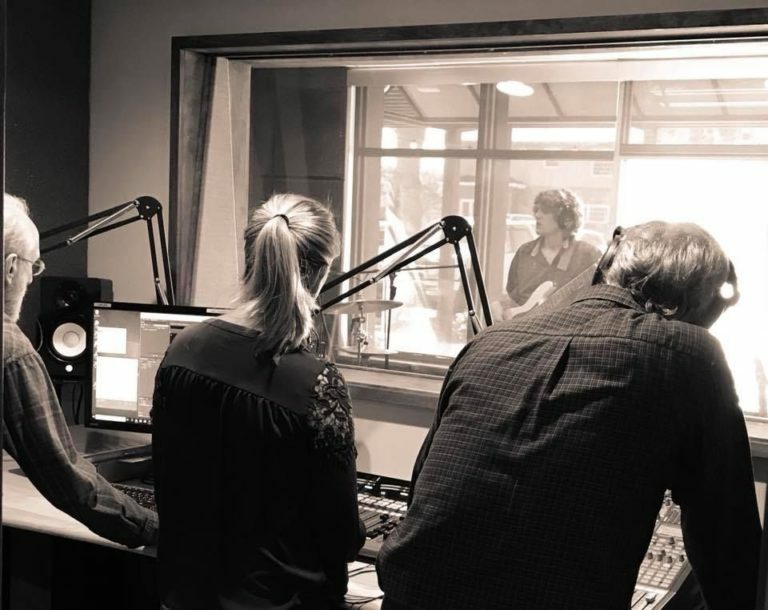 Rocky Mountain Breakdown aired the very first day of programming on KRFC 88.9FM Radio Fort Collins and features all flavors of bluegrass music, from traditional to contemporary styles. Artists range from the pioneers of bluegrass to emerging artists of today. Andrea Bradstreet, Greg Krush, and Scott Catalano share hosting for this one-of-a-kind, once-a-week show that honors everything bluegrass! We invite you to tune in every Saturday from 2 to 4 pm. ARS is all about diversity, revolution, punk rock, and a celebration of what music can do to the human heart and mind. One might hear punk rock, folk, reggae, jazz, tearful ballads, heavy metal, old-school country, ambient, spoken word and literary trajectories, and full-on cheese fests during the show. The music we are exposed to becomes the soundtrack of our lives, for better or worse. Who knew that a VIP with our local symphony likes Iron Butterfly? Or that one of our most recognizable state representatives is a Deadhead? Get to know another side of familiar community personalities and leaders on Side A and Side B of The FlipSide VIP Playlist. Side A and Side B alternate Wednesdays from 6 to 7pm on KRFC 88.9 FM Radio Fort Collins. The Hard Stuff is an all-out rock extravaganza, from dirty blues to head banging rock. The show is particularly focused on spotlighting local rock talent from all over Northern Colorado. The Poudre Valley Barn Dance is two hours of roots Ameripolitan music, including classic rockabilly, hillbilly bop, hillbilly boogie, honky tonk and Western swing. Although most of the music you’ll hear is pre-1975, modern artists who are creating new music with the classic sound can be heard as well. The Hootenanny surveys songs and music from the early days of radio. When radio was the disruptive technology of the day, the music industry was centered in Tin Pan Alley, and that was where music was published. You’ll hear modern artists who could have recorded in the time box with Johnny Cash. That’s because everyone needs more Johnny Cash in their world! Turning the Tables is committed to non-commercial, no-nonsense music and is still going strong after 15 years on the air. You’ll find the latest new music as well as the greats from the past. Turning the Tables is and has always been focused on promoting the local music scene! As the title indicates, the Vinyl Mix provides two hours of that rich, warm sound which only vinyl can produce. If it’s on vinyl, sooner or later you’ll hear it, since all vinyl is fair game. No stone is left unturned, uncovering the great music that has been lost over time in addition to the hits of the era. Voodoo Soup is a T-Funk creation of the soul. Born on the bayou, deep in the heart of the Crescent City, you will find a funk sound that can change your soul. Voodoo Soup tries to capture that sound. Voodoo Soup starts with 100% Grade A funk. Stir in equal amounts of blues, roots and rock. Add a pinch of bluegrass, and finally a touch of soul. Let this soup simmer all day while stirring. This Voodoo Soup is best served hot from 8 to 10 pm every other week. Every Saturday morning we take a trip around the world to discover music from every corner of it. Whether it’s new or old, from the New World or the Old, this show finds it and brings it to you. Wake up to the world and then go out and explore it! Your Show of Showtunes revisits the classic age of Broadway musicals. Variety is the name of this game, including fairy tales, comic strips, Rodgers and Hammerstein, Sondheim, parades, New York, and movies made based on Broadway hits. Community at Work is a weekly public affairs program that provides a closer look at the public agencies that serve Larimer County residents. This half-hour show offers insights into the issues affecting our community and highlights some of the programs and services provided by local agencies and organizations. 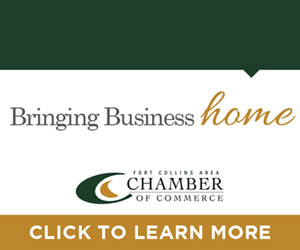 There are three rotating hosts: Health District of Northern Larimer County, Larimer County League of Women Voters, and Deni LaRue, radio host and former Larimer County public information manager. Faith in Progress explores people, organizations, issues, and events in Northern Colorado from a multi-faith perspective. Funny You Should Say That is a show that follows the standup comedy scene in Northern Colorado. Colorado comedians are interviewed, and samples of their stand-up routines are featured. Tunes and Tales provides a forum for children to hear stories read out loud by published picture book, middle grade, and YA authors. Kids can get their wiggles out to music performed by local musicians, theatre groups, and entertainers, and with songs from the latest albums of children’s music. Coming at you live from the heart of The Music District, we’re the all-new KRFC 88.9 FM Radio Fort Collins! Go ahead, give us a listen and let us know what you think.